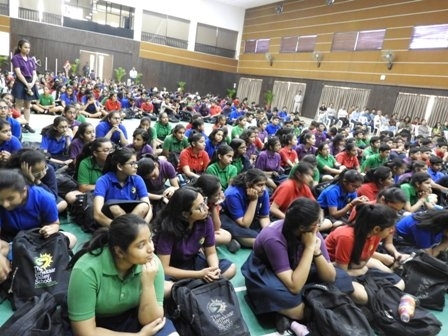 On 16th March, 2019, Samcara – The Career Counseling Cell of The Sanskaar Valley School organized an interaction with an alumna, Lavanya Garg for Shikhar students. She mentioned about ASMAT, an organization that works in villages for the development. She is co-founder of ASMAT and working in the field of sustainable fashion with The Good Business Lab as well. • One should look for his/her passion and liking. • Life is never perfect and sorted unless you work for it. • Not to keep blinders on and have different visions to explore. • Willingness to explore comes with a meandering path and not a simple, straight path. • Should keep the bigger picture in mind and be dedicated to the small little tasks. 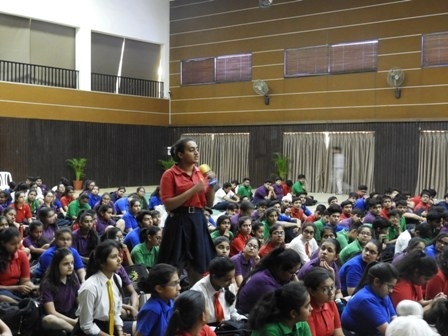 It was an intriguing session and Ms Lavanya left Shikhar students with lot of food for thought. She inspired students to be courageous to follow their passion and dive deep in it, career and money will follow.